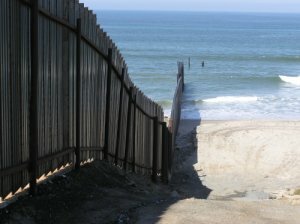 The U.S.—Mexico border is more than a physical or political boundary. It is a study of contrasts: a story of hope for those who cross “La Línea”…a saga of patriotic duty for those who protect it. To comprehend the paradox, you must see first-hand the terrain, the people, the obstacles, and the challenges that face Border Patrol Agents and migrants alike. Beyond its socio-political implications, the San Diego County border is a place of natural beauty. Migrating birds, some species endangered, populate the thick brush of the Tijuana River Valley. Roadrunners streak amid thorny cactus and chaparral forests in search of prey, while red-tailed hawks soar high above the blue Pacific. Life at the border is anything but business as usual. Join us in an intimate look at what you have so far seen only on the nightly news. Regardless of your political persuasion or your opinion on current border issues, you’ll enjoy exploring the terrain, seeing the sights, and absorbing the history of the United States/Mexico border. A retired Border Patrol Supervisory Agent with decades of experience will be your guide, and will fascinate you with stories from amusing to tragic. After years of “riding the line” (and unfenced areas) of this controversial region, he’s pretty much seen it all. Now let him show it to you! Click here for a video of the border tour.